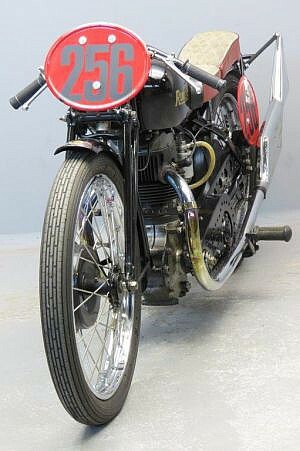 The Rudge-Whitworth company was an established bicycle factory that entered motorcycle production in 1911. 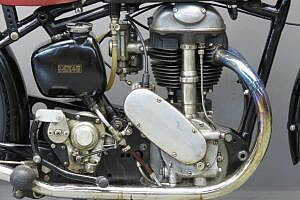 Their first machines were 499 cc IOE singles. They developed the famous Multi gear, with a possibility of up to 21 gear positions. In 1924 the factory introduced a new range of four valve singles. 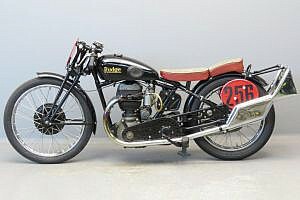 In 1928 Graham Walker managed to win the Ulster Grand Prix on a Rudge, after a heroic handlebar-to handlebar battle with Charlie Dodson on a Model 90 Sunbeam. Since then the sporty Rudge models were designated “Ulster”. 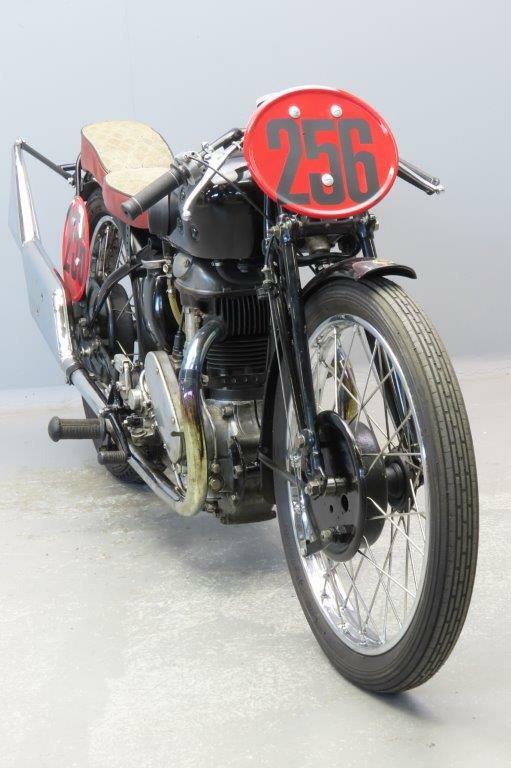 In 1931 the engine was scaled down to 250 cc and that proved to be a real winner too, judging from 1st, 2nd and 4th places plus the lap record in the Junior TT. Rudge used several layouts for its 4 valve models and from the 1931 model range on they settled for the semi-radial arrangement of parallel inlets ( in a flat head surface) for deep breathing and radial exhausts ( in a part spherical surface) for cool running. 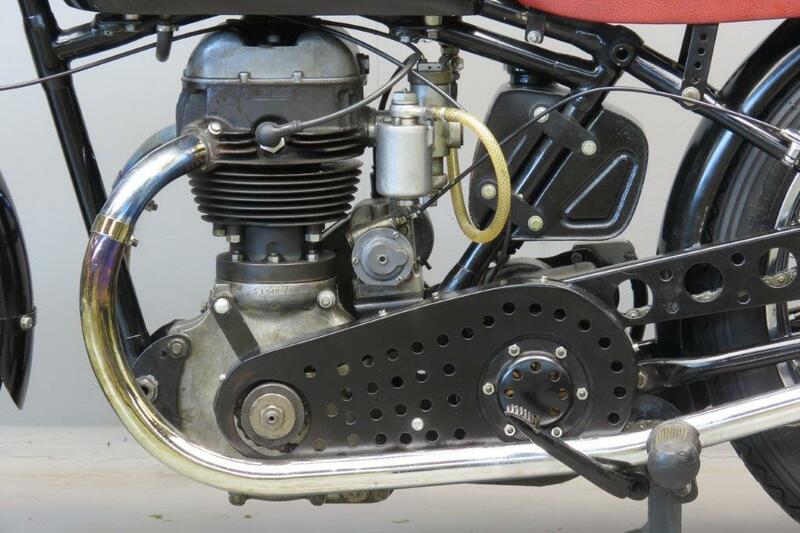 At the same time plug size was reduced from 18 to 14 mm to allow more metal between the hole and the exhaust seats. This layout proved very successful and was retained till the end of Rudge production in 1940. This ca. 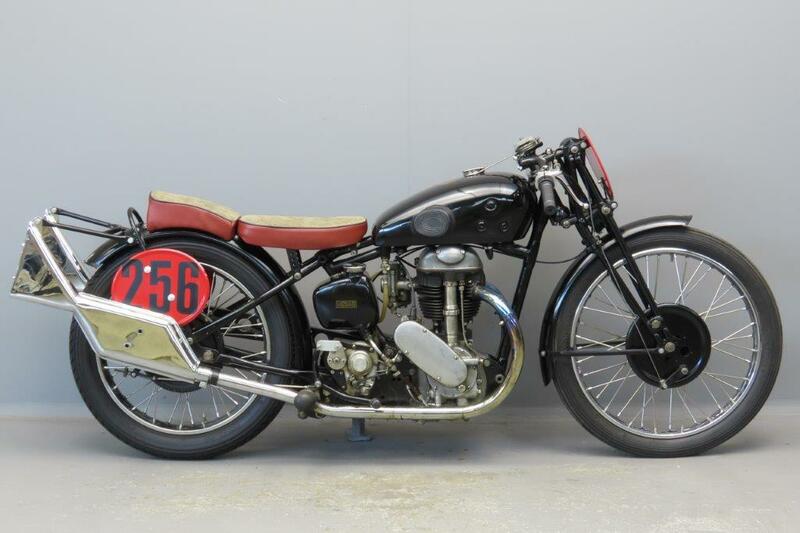 1936 Special has been “coursified” in Britain in the seventies. It is tuned for sprint racing and has been successfully raced on various tracks in France, its last outing being a recent Vintage Revival at Montlhéry. Note the Brooklands cans and BTH racing magneto. With its claimed top speed of 114+ mph on 100% methanol the bike can be called very fast. 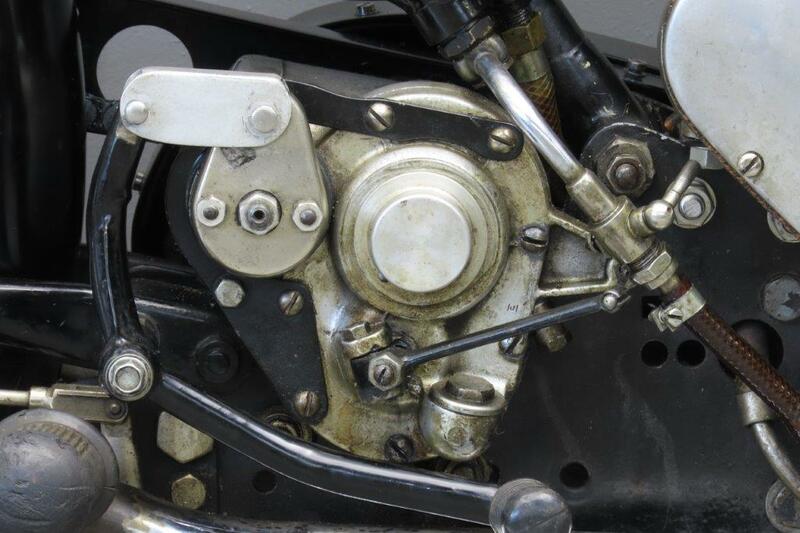 Recently a new piston has been fitted and the wheels have been rebuilt using Rudge-type alloy rims.